Culinary on North is perched on the third floor of the new mall expansion welcoming coveted inline food and fast-casual restaurant tenants. The signature architectural element spanning the width of the food court is the ceiling comprised of individual curved wood slats greeting visitors at the entrance. The space is divided into three distinct zones; a food court, casual restaurant dining with terrace seating, and a gourmet food market with takeaway merchandise. Natural daylight permeates through a dramatic oval atrium at the heart of the space, with full height glazing along the perimeter affording diners unobstructed vistas of the Minneapolis skyline. 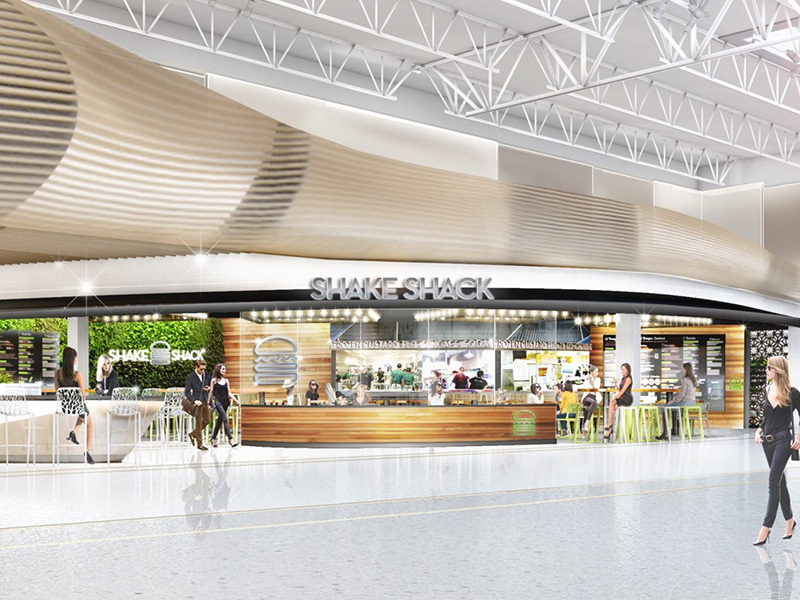 A number of operators for whom we did pre-lease proposals, are now tenants, including Shake Shack.